The Nordic nature in winter is unbelievably beautiful and rewarding but it can also be fierce and challenging, even plain dangerous. But the knowledge and skills needed in hard winter conditions can be learned in safe and effective way. And at the same time you can experience memorable adventures and get to know interesting people! The snow-veiled solitary hills, endless vast glaciers and rugged snow-covered mountains may seem like distant dreams but you achieve them all! Step on this path to fulfill your dreams. For the winter 2013 I will offer a three-part set of courses and guided ski expeditions where the next part build upon the knowledge and skills learned during the previous parts. There will be unforgettable adventures but you will also learn knowledge and skills necessary to survive and enjoy the harshest of winter conditions. The emphasis is on ski expeditions on open hills and glaciers. Your guide on the courses and expeditions will be Jaakko Heikka, a qualified Wilderness Guide who has done ski expeditions for example in Svalbard, Iceland and Lapland. Dreams are made to come true! If you step on this path you may find yourself skiing on the largest glacier in Europe by the end of May! And the path won’t end on Vatnajökull. There will be more during the forthcoming years. When heading north, only the North Pole is the limit! In addition to the three courses with set dates, tailored courses and expeditions can be arranged according to your interests and needs! – Ask for tailor-made course in Southern Finland or in Lapland! The Basics of Nordic and Arctic Winter Travel is a tailor-made course that is based on the Basic Course on Arctic Ski Expeditions but is tailor-made to your needs and interests. The course may take place in Southern Finland for example on the frozen plains of Lake Saimaa or in Lapland for example on the frozen “wilderness sea” of lake Inari or on the snow-covered forested hills of Eastern Lapland. The course can range from a short over-night trip to a multiday trip with some time spent indoors to learn new skills and familiarize with the equipment. 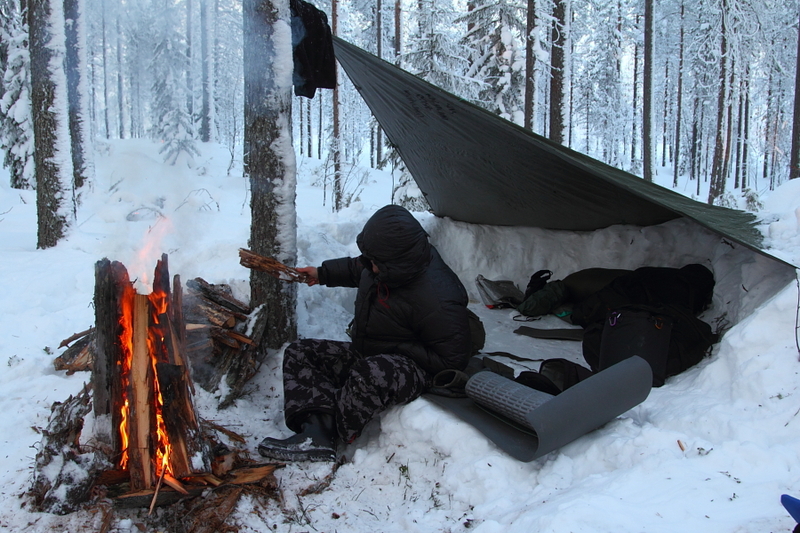 During the course we will travel on skis or on snowshoes and spend at least one night outdoors in a tent, under the starry sky or in a self-build snow shelter. Together we can form a tailor-made package to meet your needs and desires. We will go beyond theory and indoors training and go outdoors to utilize the knowledge, get a grip of the new skills and learn to use the equipment. And of course enjoy the marvellous Nordic nature! Previous experience is not required on this course. Some of the equipment is included in the price (pulkas/sleds, tents, stoves, etc), some can be rented (snow shoes, sleeping bags, etc) and some you need to have yourself (warm clothing and footwear). The participants must be 18-years old. Underage participants are welcome when accompanied by adult. Price depends on the final content and number of participants. For example a three-day course for two people with one night indoors will cost about 250 euros per person. Ask for a detailed offer! Groups up to 20 people. For big groups we will have several experienced guides. Ask for detail with e-mail: jaakko.heikka@gmail.com! – Also available on request in Southern-Finland (South-East) or in Northern-Finland/Lapland (e.g. Syöte National Park area). The Basic Course opens the path to Nordic winter and Arctic plains. 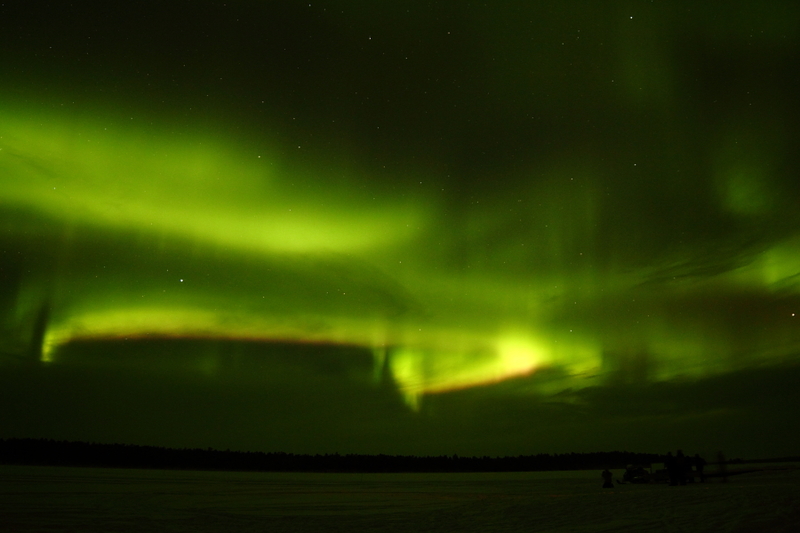 In January the icy plains of Lake Saimaa (largest Lake in Finland) offer a great Arctic simulator. The course includes theory and lessons indoors and an over-night ski trip to try out and familiarize with the gear and skills in practice. During the trip we will sleep in tents. Previous summer hiking and camping experience is required, as is suitable clothing, a warm sleeping bag and ski equipment. (Some equipment available for rent.) The participants must be 18-years old. Underage participants are welcome when accompanied by adult. The course is for 4-12 people. The course held on 25.-27.1.2013 is primarily held in Finnish but English-speaking participants are also welcome. The course held on 6.-8.2.2013 will be lectured in English and from there you have a possibility to continue straight to one-week ski expedition in Sarek National Park in Swedish Lapland! If you are interested in this course be in touch via e-mail! The Advanced Course will take you on a ski expedition to Northern Sweden on the mountains of Sarek. The Sarek area is well-known for its rugged mountains, numerous glaciers, beautiful valleys and very variable weather. It is harsh but unbelievably fascinating environment for a ski expedition. 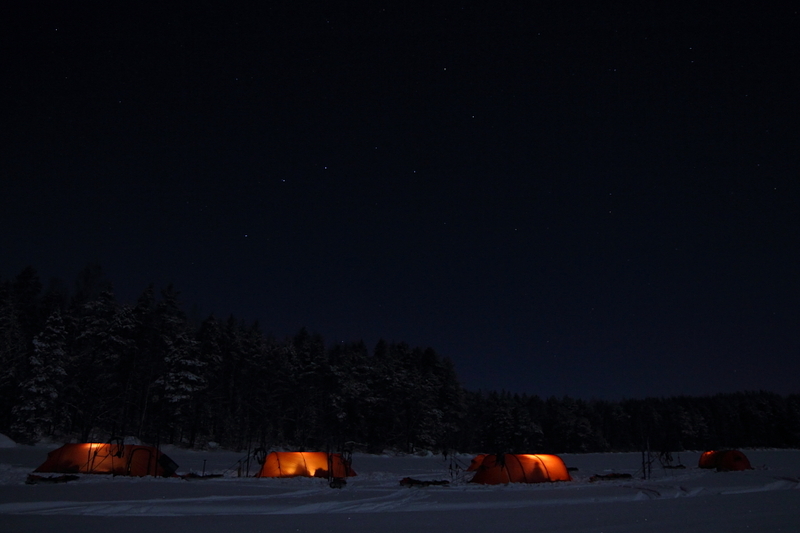 During the course we will spend one week skiing on the open tundra camping mainly in tents. The aim is to practice in real life the skills introduced on the Basic Course and enjoy the wild nature. During the trip we will also spend one night in self-made snow shelters. Participants are required to take part on the Basic Course in Arctic Ski Expeditions or have similar knowledge and skills. You have to have an outfit suitable for demanding winter conditions. Some equipment can be ordered as a group and we are glad to help you to choose the right and proven gear. The participants must be 18-years old. Underage participants are welcome when accompanied by adult. 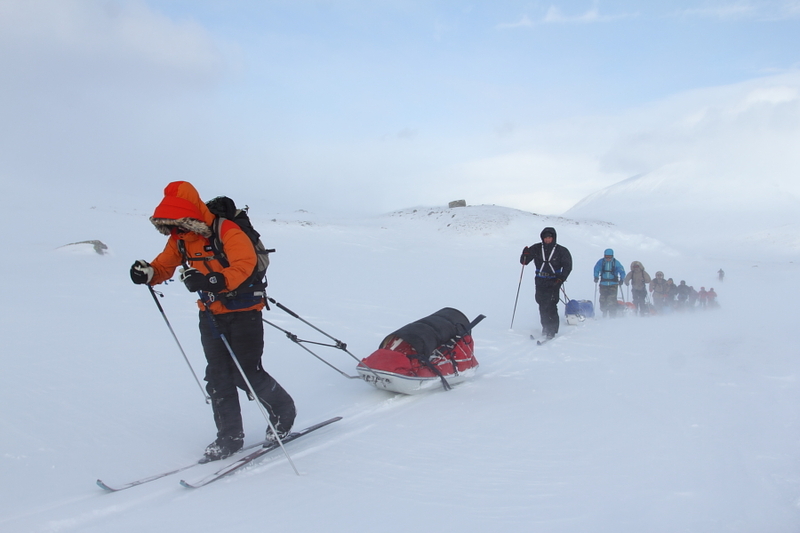 The Basic Course in Arctic Ski Expeditions will be held in English on 6.-8.2.2013 so you can easily combine it with the Advanced course. Ask about this by e-mail! The course is for 4-8 people. If you are interested in this course be in touch via e-mail! The enrollment is open until 31.1.2013. The largest glacier in Europe, Vantajökull, in the South-East Iceland offers an incredible environment for an unforgettable ski expedition! Vatnajökull is well-known for its highly variable and harsh weather but as we will travel there during spring we might also be able to enjoy the incredible views and relaxed skiing in sunshine. But you never know, and that’s the beauty of it! 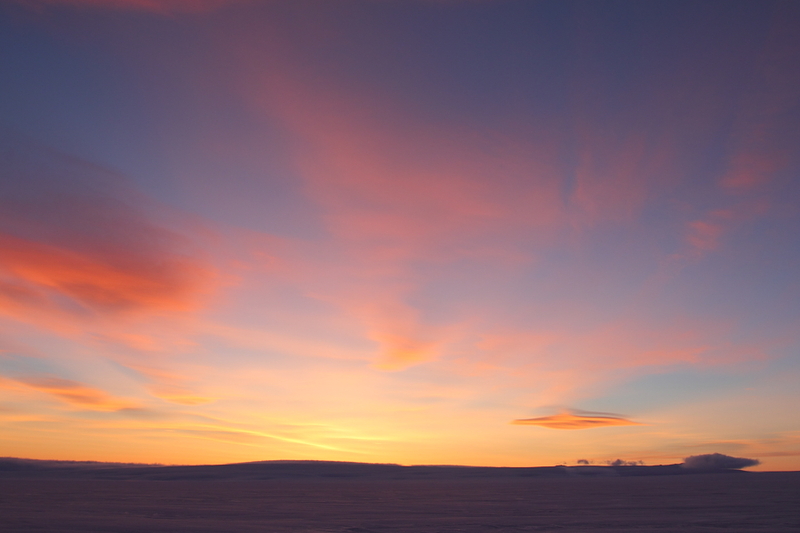 The objective of the expedition is to ski across the Vatnajökull glacier from East to West visiting the Grímsvötn volcano (1725m) at the middle of the glacier. The skiing will take about 11 days and we will cover over 150km on skis. There will be challenges but also memorable adventures and loads of experience! After the skiing part we will spend one day in Reykjavik before returning back home. The expedition will be planned together with the participants and for example exact dates can be picked according to liking. 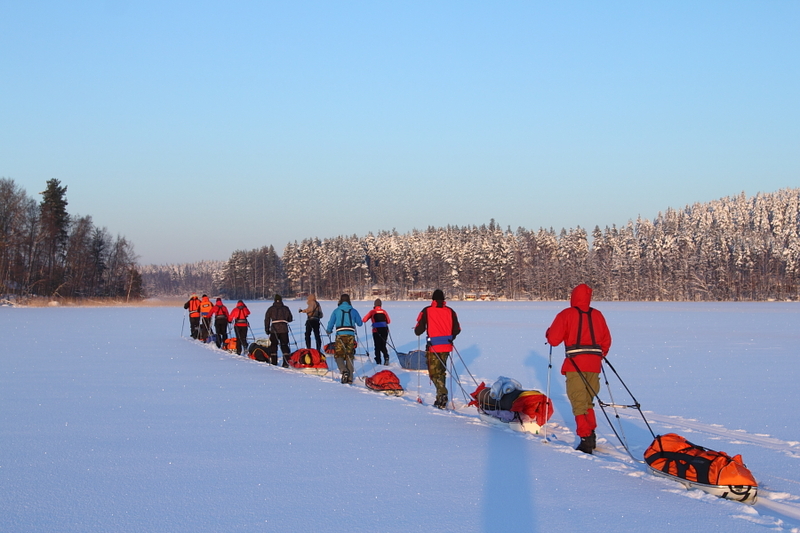 To plan the expedition we will meet once in March-April 2013 in Finland. Participants are required to take part on the Advanced Course in Arctic Ski Expeditions or have similar knowledge and skills. You have to have an outfit suitable for the expedition. Some equipment can be ordered as a group and we are glad to help you to choose the right and proven gear. The participants must be 18-years old. Underage participants are welcome when accompanied by adult. If you are interested in this course be in touch via e-mail! 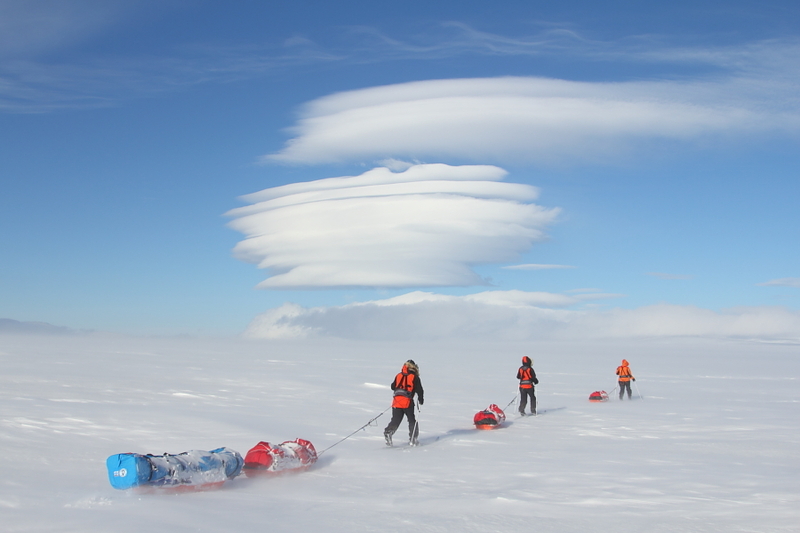 The planning of the expedition will start in December 2012 and enrollment will be open until 31.1.2013. Trekki Oy support active outdoor life by giving conciderable discounts for the participants of my courses, tours and expeditions!